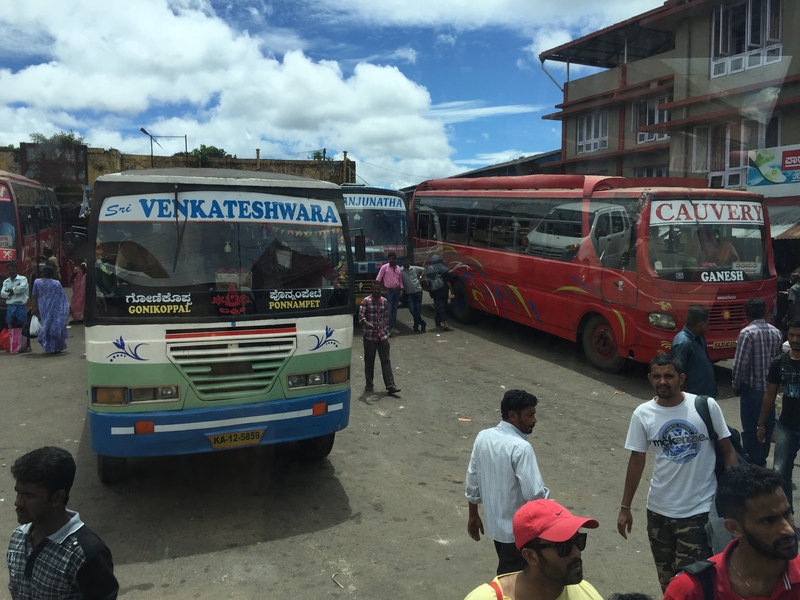 india travels: the ins-and-outs of overnight bus travel. just another day at majestic. bangalore, india. april 2015.
i have travelled on all sorts of buses in my years in india. city buses [i still contend bangalore’s are the best], state buses, private buses, overnight buses, bench seats, semi-sleepers, sleepers, multi-axles… you name it, i’ve probably ridden on it. 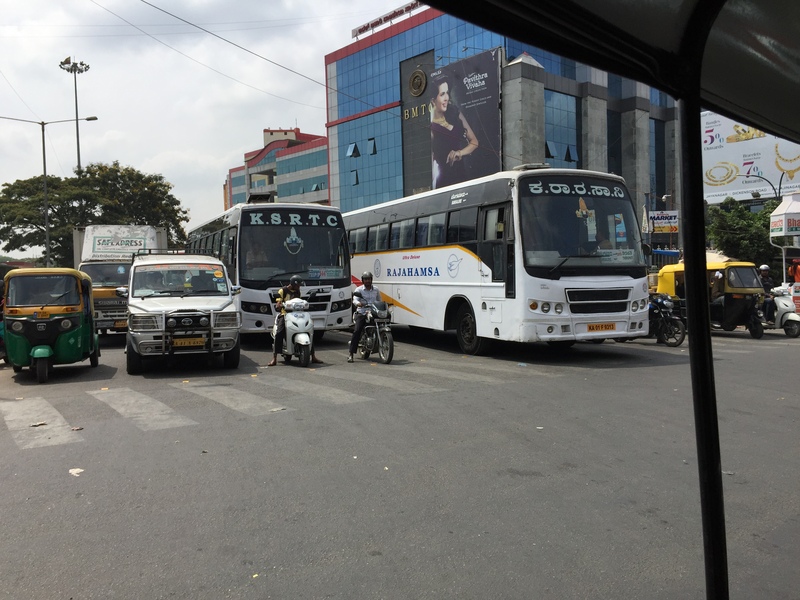 travelling by bus is cheaper and much more convenient than flying – especially in bangalore where the airport is far, far away – and it is great for last-minute travel when trains are already booked. but does that necessarily mean it is your best option? i have had some great bus experiences, and i have had some not-so-great bus experiences. 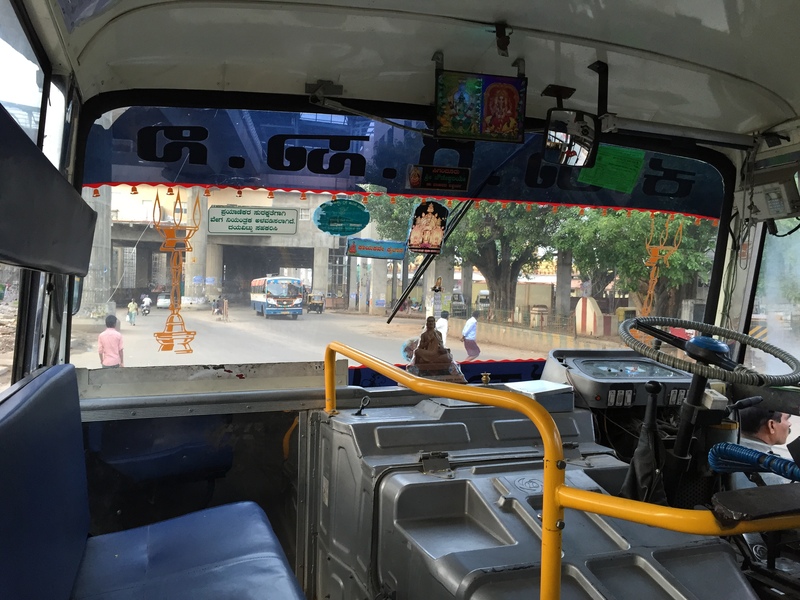 i will still continue to travel by bus for the options it affords, but today i thought i would share some of the ups-and-downs of overnight bus travel in india. 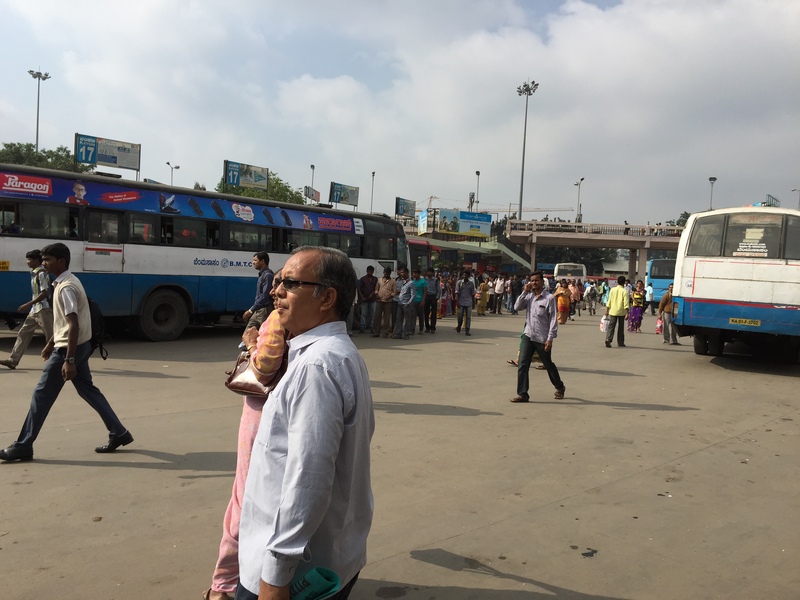 buses leaving the shantinagar bus station. bangalore, india. march 2015.
the semi-deluxe bus. non-airconditioned. these have individual seats but do not recline. i’ve ridden on it once from bangalore to coimbatore, and it was ok. not very comfortable, but fine for a 6-hour ride on pretty decent roads. the ultra deluxe bus. non-airconditioned. the one i used to frequent the most back when i was a bit of a pauper. these have individual seats that recline, are pretty comfortable, and are good value for money. the sleeper bus. can be ac or non-ac. these are the ones that come with a horizontal berth so you can stretch out and sleep. this is the one i recommend for trips through the ghats, such as from bangalore to gokarna or goa. the key is to sleep on your front or on your back to keep from sliding all over the place. the volvo and the volvo multi-axle. these are airconditioned semi-sleeper buses that have become very popular in the last 5 years. the seats recline and are generally pretty comfortable, and the ac comes in handy during the summer months when even the nights are pretty warm. they also make the fewest stops – usually just one depending on the length of the journey – and so are often your fastest option. bonus: some of them will play local-language movies during the beginning part of the journey! early mornings at banashankari bus stand. bangalore, india. april 2015.
the different levels of luxury mean it is affordable for everyone. i have spent rs 150 on overnight buses, and i have also spent rs 1,100 on overnight buses. there is a wide range of prices and comfort levels available, so if you are looking to travel by bus it is very easy to find something that fits within your budget. it can be convenient and fast. with lots of options, you are pretty likely to find a bus unless you wait until the absolute last minute to book. when i was returning to bangalore from hyderabad, i booked my ticket on thursday afternoon for a friday night departure and still got a good seat. and the journey only took about 6.5-7 hours. if i had gone by flight? one hour to the airport, a two-hour wait [i like to get to the airport early], a one-hour flight, and another one hour journey into the city means that i would be spending a lot more money and going through a lot of hassle to save maybe two hours on my journey. and the bus drops me off at anandrao circle, just next to majestic, so i can easily hop on a bus or jump in an auto to get to my final destination. it’s easy to book. all of the bus companies have websites these days, so you can easily book your bus yourself. they are generally pretty easy to navigate, and you can view all the available options, prices, and timings in one go. if you would rather have someone else do it for you, or if you don’t have easy access to a web connection, there is no shortage of booking offices throughout cities. if you have a specific bus company in mind, they will search those exclusively, or they will give their suggestions for which companies offer the best timings and prices. for long-term travellers, you save on one night of accommodation. a number of long-term travellers i have met over the years travel almost exclusively by overnight bus or train. it allows a full day in the place you are leaving, it saves you having to pay one night of accommodation, and it generally allows you another full day once you arrive at the other end. in order to get the most out of this, however, you need to be able to sleep on buses. just an fyi. the gonikoppal bus stand. coorg, india. june 2015.
the drivers are often bad. and occasionally drunk. i don’t say this lightly, but the drivers can sometimes be really bad, especially on the cheaper buses. they speed, they swerve a lot, they honk a lot, and i have definitely had one or two who were so visibly intoxicated they had to be replaced. traffic is generally pretty sparse overnight, so they take advantage of the mostly-empty roads and drive like bats out of hell. depending on where you are, the roads can be atrocious. i love karnataka, but the state highways are terrible. they are riddled with potholes and can be narrow in places, and there are lots of random barriers that cause the drivers to continually fluctuate their speed. if you are in a state with nice roads, however, your ride should be pretty smooth. you might get bed bugs. and when i say ‘might’, i really mean that you probably will. stupid durgamba and their stupid bed bugs. i was itchy for days, and every time i rode on one of their buses again i think i psyched myself into further rashes and hives. it was not at all pleasant. i will, however, say that i have not had such problems on the volvo buses. scrimping on price means you are also compromising on comfort. yes, you can save a lot and book the super cheap karnataka sarige buses, but you will end up squished on a bench seat with anywhere from 2-5 other people. you’re probably not going to get much sleep, but you will have lots of entertainment. the websites only accept indian cards. there are some great booking sites where you can choose from a range of different bus companies and services [more details below], but most of them do not accept non-indian cards. until i get my local bank account set up, i am at the mercy of very understanding friends who don’t mind letting me use their cards to book any necessary transportation. no toilets on board and sometimes infrequent stops. these are not greyhound buses, so they don’t come equipped with toilets on board. depending on which bus you’re on, it might not make many stops through the night, so things can get dicey if you need the loo often. another day, another karnataka sarige ride. bangalore, india. april 2015.
choose a seat or berth toward the front of the bus. with the exception of the volvo multi-axle buses, the rest have terrible suspension. if you have a seat or berth toward the rear of the bus, you will be jostled around over every pothole and speed breaker. the earlier you book, the better your chances of getting a seat or berth toward the front / middle of the bus. cheaper buses make more frequent stops. if you are someone who gets disturbed with frequent stopping-and-starting, don’t take the cheaper buses. they often act as local buses, so they make numerous stops and will let more people on than there are seats available, leaving people sitting or standing in the aisles – and sometimes shouting at friends or family members across rows. if you’re going to be travelling through mountains – especially the ghats – pay a little more for a nicer bus. i personally prefer a sleeper bus through the ghats so i can be in a prone position while the bus twists and turns through the mountains, but sleepers will cost a little more than semi-sleepers [with the exception of the multi-axle buses]. it’s totally worth it, especially since those trips are a little longer, too. hydrate carefully. as i have mentioned a few times, there are no toilets on board the buses, and depending on which bus you are travelling on, it might only make one or two stops during the night. don’t dehydrate yourself, but ration your water carefully to avoid the unfortunate situation of needing the loo in the middle of the night with no stops on the horizon. it can get really uncomfortable really fast. keep small change handy for the pay-and-use toilets. some of the rest stops where the buses break for dinner or for chai will have pay-and-use toilets, generally charging between 3 and 5 rupees to use. and regardless of how much change you see them holding, they will usually refuse to give you change for bills, so be sure to carry some small coins with you for this purpose. these are the times when my tendency to hoard change comes in handy. saying goodbye to gonikoppal. coorg, india. june 2015.
ksrtc. my trusty old karnataka state road transport corporation. it’s pretty widely agreed that karnataka has one of the bigger and better state bus systems in the country. they have loads of buses of every variety, and they travel to tons of places. i like supporting the state bus network, and many times they have been the most affordable and the most convenient, especially for my trips to coimbatore. ksrtc has been offering online booking for as long as i can remember, and for a while i was even able to use my international card. those days are sadly gone, but their website, while very basic, is still easy to use and a great resource when planning a trip. redbus. an online bus booking portal that has been around a little over 10 years, redbus is a great place to see what all the different options are for wherever you need to go. it pulls together bookings for all the various private bus companies so that you can compare timings and prices to see what works best for your schedule and your budget. i’ve used it for many years as a reference, but i don’t think i’ve ever actually used it to book — that’s more because the website doesn’t accept my international card than for any other reason, though. vrl. for many years i had a prejudice against vrl – and for good reason, too – but even i cannot deny that they are a good bus company. their buses are always comfortable, they almost always run on time [which says a lot for india], and they have their own private depots and bus stops along routes. this means that there are shorter waits for food, and the toilets tend to be much cleaner than at other overnight rest stops. they might be a little more than other companies, but the service is always great. seabird. seabird was always my go-to for trips to gokarna or goa. they always had good timings and great prices, and because i travelled the route so much i knew when and where most of the stops occurred. knowing these two things can make your life much easier when planning an overnight trip, and the convenience was always great for me. it’s been about 3 years since i last travelled on one of their buses, but if i’m ever heading back to one of those two places i will definitely be looking these guys up first. others that have also been good: suguma; kesineni; srs travels. i have used these only a few times, but they are also good options. 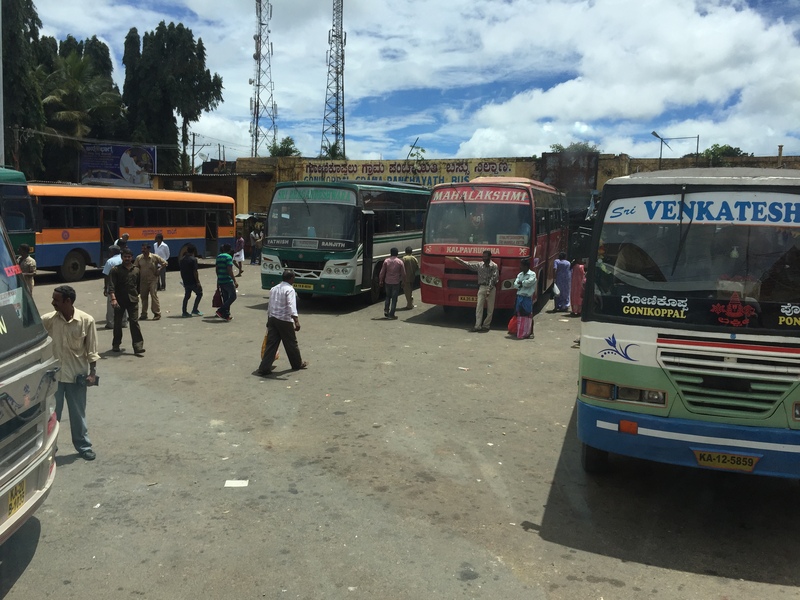 there is a lot that goes into planning overnight bus journeys anywhere in the world, but i hope this overview can help you if you’re looking into overnight buses to get around india. most of my experience is limited to south india, but i took a few overnight buses when travelling in rajasthan and lived to tell the tale. 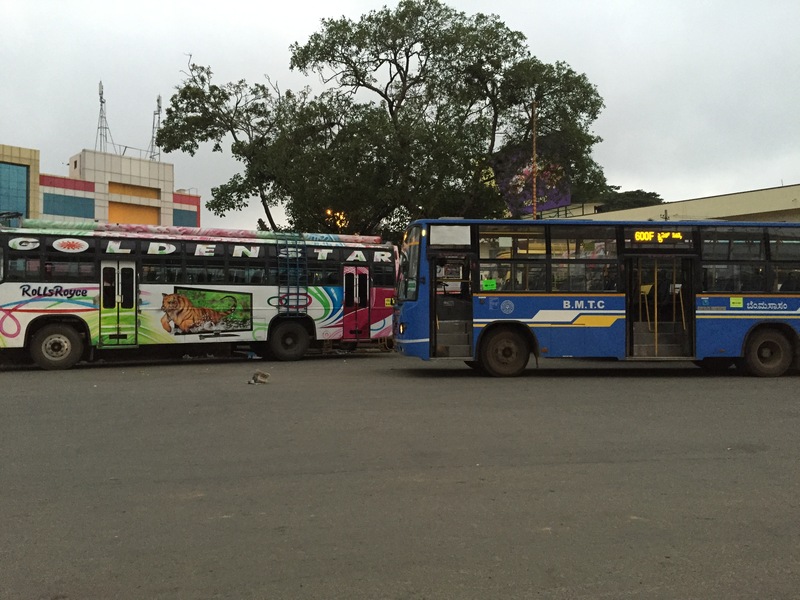 have any of you used overnight buses while you were in india? what did you think? did i leave anything out? I tried to use these webside you recommende any on any of them (aparat from redbus) couldnt find delhi -manali destination. DOes it mean that they dont operate on that route?? Redbus dosent accept international cards, does it mean that only way to book my route is personally at the bus station in delhi ?? Hey Oli! Thanks for commenting! Unfortunately most of the bus websites will only accept Indian cards, which is a huge bummer. As for the Delhi-Manali route, I think there should be private buses, but it depends on the dates you’re looking at as the road will occasionally be closed because of weather. If you are already in India, you can book tickets at the bus station or at any travel agent office you come across — there are usually lots near big tourist areas. Hey, that’s a great and informative article. I had a question though. Are long, overnight bus journeys, like say 12 hour long ones, comfortable? Like if you were to take an overnighter, would you have enough energy to move and trek around the same day when you reach? For overnight journeys – and really anything over 8 hours – I recommend sleeper buses. I get more rest on non-AC sleepers than I do on AC semi-sleepers because I can at least lie flat, and I’m generally good to go whenever I reach my destination the next morning. It depends on how well you sleep, especially knowing that the roads are not always great, but I’ve never had issues after a night on a sleeper bus. Hope that helps, and thanks for reading and commenting! Excellent Article….. Covers…. The bus travel… excellently…. This applies to almost all of India. The “Chhuta” – Change part is also real…. Shopowners and hotel owners will always ask for change, even if they are having plenty of them…. weekly roundup 20 // 2015.
what i’m listening to: my favourite podcasts, updated.